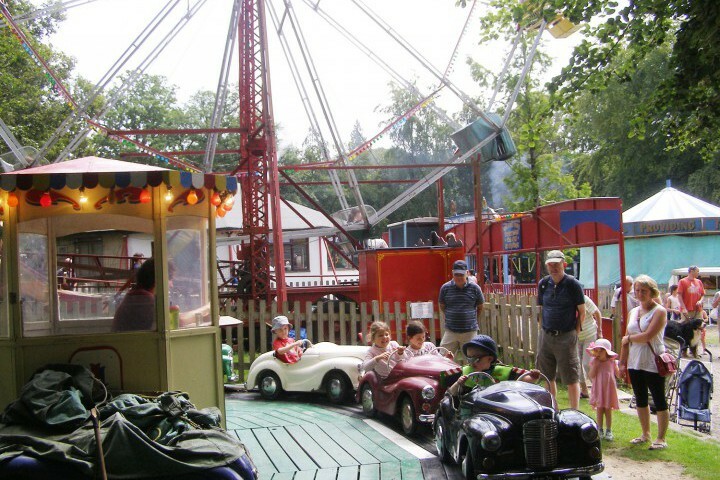 Hollycombe has rides for all the family including some aimed specifically at our younger visitors! 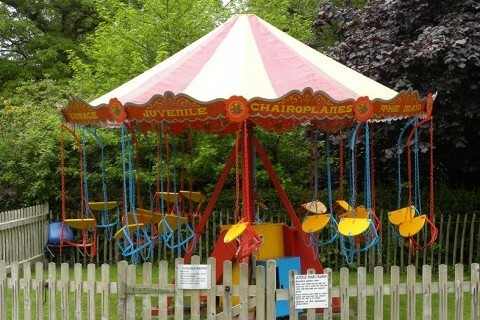 This ride was built by Orton & Spooner of Burton-on-Trent in 1930 and spent its working life at Chessington Zoo in Surrey until purchased by Hollycombe in 1985. The Austin car ride was built by Supercar in 1948. Originally a ten car set, it was travelled by a showland family. The cars are driven by a 110 volt electric motor with power normally generated by either Leiston Town or Emperor. 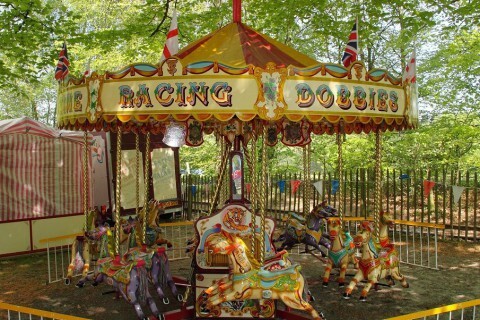 The ride was purchased from a travelling fairground family in 1986. 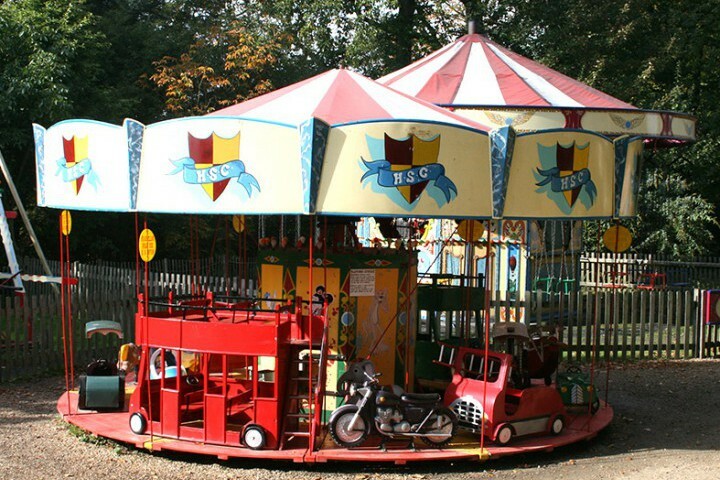 This ride was built in 1995 and arrived in Hollycombe at the start of the 2011 season - it is already proving very popular with younger visitors! A smaller hand-powered version of the Steam Swing Boats, these are ideal for children. 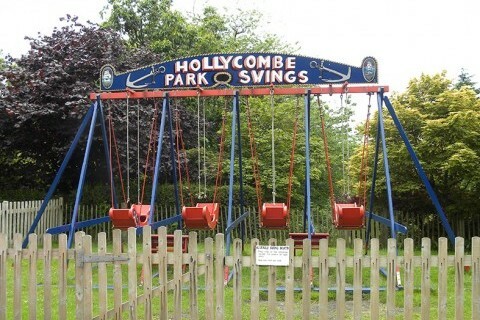 The swings were donated to Hollycombe by Pinner School, Middlesex, in the late 1990s. Hollycombe has two sets of electrically-powered children's Chair-o-planes for younger visitors. Electricity is normally generated by the Bioscope engine Leiston Town. Hollycombe Steam In The Country, Iron Hill, Liphook, Hampshire, GU30 7LP, UK. Copyright ©2019 Hollycombe Working Steam Museum. Registered Charity No. 1061693.